What happened in the Pittsburgh PRO Chess League match-up last night? Here’s a recap of our game against Las Vegas. Next week will feature the Pittsburgh Pawngrabbers against the Webster Windmills! First of all I would like to thank Isaac Steincamp and the chess^summit team for giving me the opportunity to write for this site. I wish Isaac all the best on his chess tour around Europe this semester. For those of you who don’t know me my name is Andrew Meyer. I’m currently a student at the University of Maryland in my sophomore year. I began learning chess at the age of five through a Long Island-based chess program cutely named “Chess Nuts.” I began to love the game the more I played it and I have been playing chess ever since. I am now rated 2100 trying to make the push for National Master. To the struggling expert trying to push for National Master, the improving 1600 who is devouring book after book trying to improve, or the ambitious beginner starting his/her journey on the chess board. No matter your rating, I’m here to discuss one of the biggest movements in chess and how it could affect your online experience. The highly anticipated Pro Chess League kicked off earlier this January with the goal of creating a professional chess scene that we haven’t seen before. For the first time, we are beginning to see big names join in the action such as World Champion Magnus Carlsen, Hikaru Nakamura, Fabiano Caruana, Maxime Vachier-Lagrave, and Wesley So. With weekly matches, prizes, and ESPN-style “ChessCenter” coverage on Chess.com, the chess scene appears to have finally started to mirror that of other major sports. For nearly every sport I’ve played there have been local organized leagues that have allowed me to meet great people and pursue my passion for sports. With chess, however, it was a bit harder. As I’m sure any seasoned chess player knows, when your rating gets higher, it becomes harder and harder to find people of similar strength. 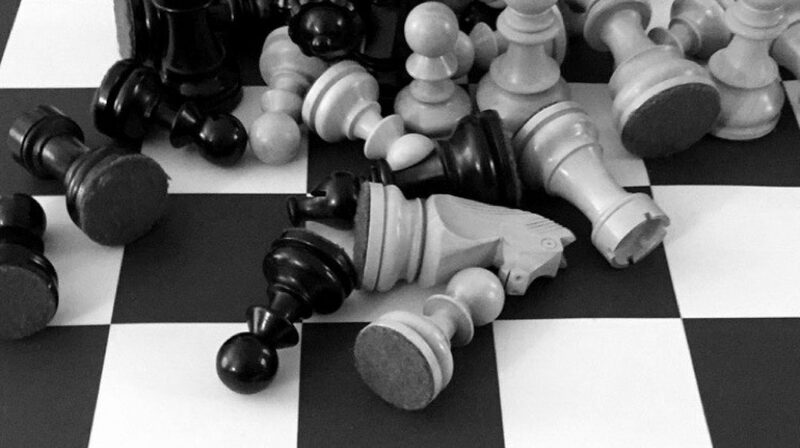 Online chess leagues are here to help that problem. The Pro Chess League does a great job with connecting players from the same area and forming teams. As it stands, over 400 top level players from all over the world have joined a total of 48 different teams. But what about the rest of us that want to join in the fun? Pro Chess League teams have a limited number of roster spots and many club players are a long ways away from the rating they need to attain to compete on such a team. As a result, in the same way that major sports like Major League Baseball have semi-professional affiliates, I predict Pro Chess League will soon have its own ‘Minor League.’ Such a league would be the convenient solution for amateurs struggling to find a nearby coffeehouse or local tournament. It would also allow serious chess players that don’t have the rating for Pro Chess League to finally compete. And with millions of active players on chess websites, I believe it’s only a matter of time before the amateurs, Experts, and Masters create a league of their own. The Pro Chess League has only been here for two weeks but it has already shown its great potential. With thousands of viewers tuning in weekly to watch Chess.com coverage of the league, chess fans seem to really enjoy this new form of “Professional Chess.” As this new form of online chess begins to trickle down to different rating classes, we will start to see a more social online chess community that could mirror that of a tournament or chess club, making anonymous online chess handles a thing of the past.